Iced tea has always been one of my favourite drinks, so I’m not sure why it took me so long to start making it from scratch. I should clarify that the drink, ‘iced tea’, means different things depending on where you go. In some places, if you order an iced tea, they will bring you a straight up cup of tea that is served chilled with ice. I learned that the hard way while traveling on a cruise, once. I was very disappointed. 😉 The iced tea that I’m in love with is sometimes referred to as sweet tea. Now that I know how easy it is to make iced tea, how much better it tastes when homemade, and how much fun it is to try different flavour variations, I will never buy canned or bottled iced tea again. In fact, from now on, John and I are going to start serving homemade iced tea instead of soda/pop when we have friends over. Also, if you’re like me, then you probably have boxes and boxes and boxes of different types of tea at home that you may never get through. This is a great way to enjoy them while cleaning out your cupboards. 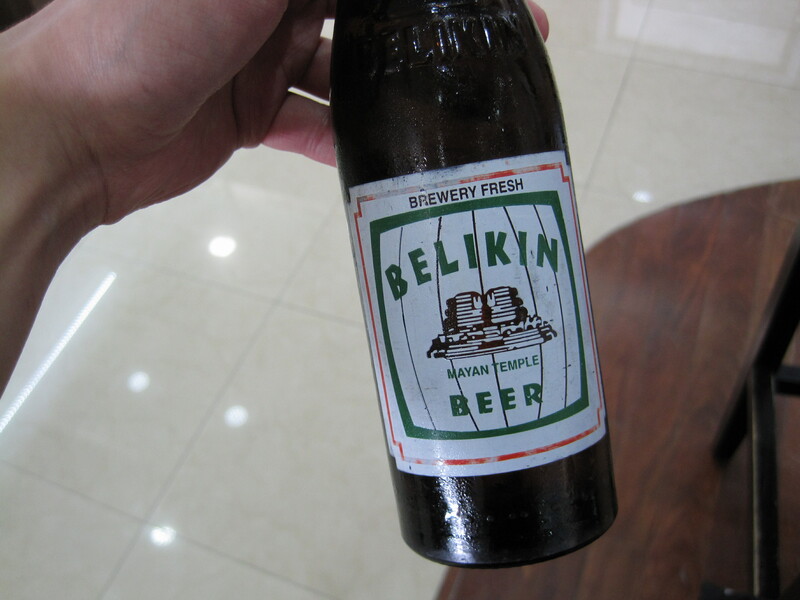 My favourite beer in the whole world, Belikin Beer, is made in Belize. In my opinion, it has the perfect balance of lightness with body, and sweetness with bitters. It has a non-offensive carbonation and a clean finish. But what makes Belikin so special isn’t the taste, it’s the type of buzz that you get from drinking it. Maybe it’s the water they use, but whatever it is, I got the best, most gentle, smooth, relaxing buzz that I’ve ever had from drinking anything alcoholic. It was truly blissful. 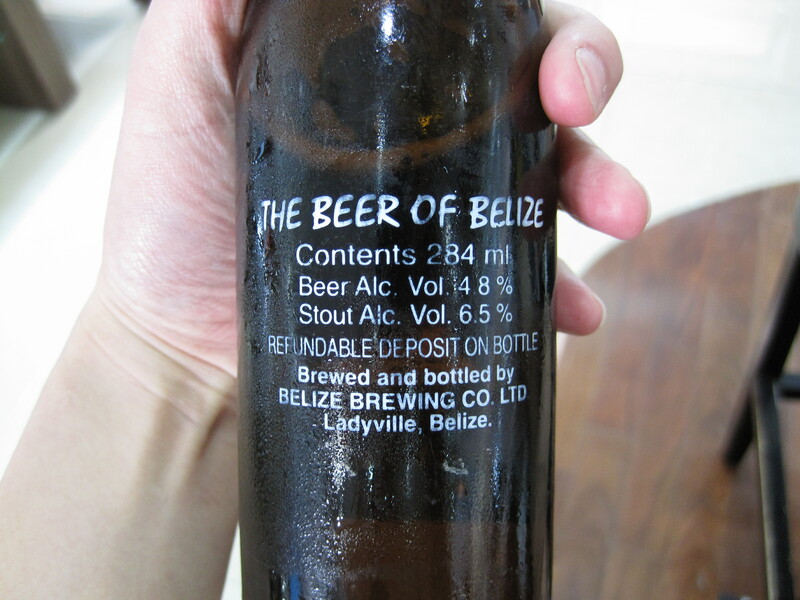 Unfortunately, they don’t currently export their beer to Canada, so be sure to grab a few cold ones if you’re ever traveling to Belize. When I was young, one of my favourite drinks was instant chrysanthemum tea. It wasn’t until I was older that I learned that chrysanthemums are actually flowers. Then on my trip to China in 2008, I bought dried chrysanthemums for the first time. 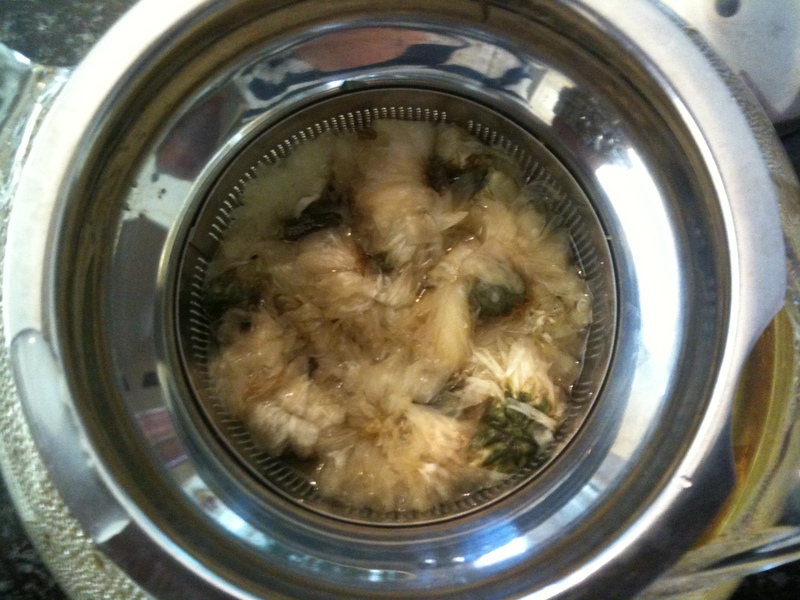 I was so excited to see them in a tea shop and I couldn’t wait to make sweet chrysanthemum tea from scratch. Needless to say, I don’t drink the powdered stuff anymore and I make it using a lot less sugar. 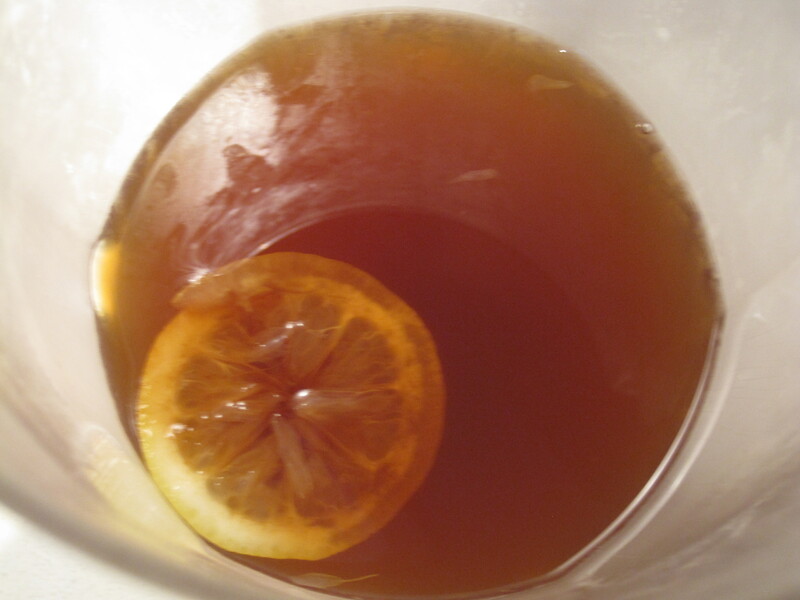 This non-caffeinated tea is delicious sweetened, and can be served hot or cold. According to the teachings of Chinese medicine, chrysanthemum tea has several health benefits, including “cooling” your body. 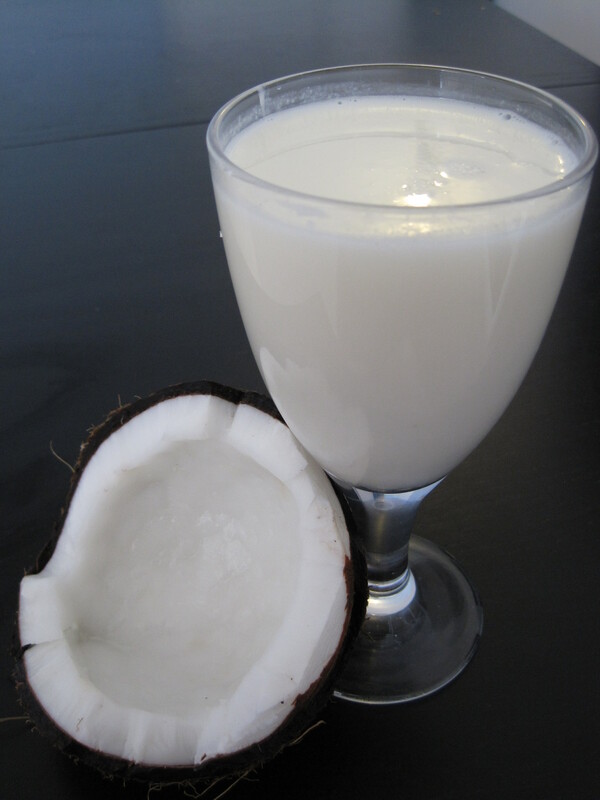 So this is a great drink to have when you have been eating too many “hot” foods, such as deep fried or barbecued foods. My family and I love the Chinese drink, papaya and milk (木瓜牛奶). There is only one vendor that we buy it from, because most places do a terrible job of making this. Often vendors or restaurants will add ice or, more commonly, use papaya that is not nearly ripe enough. I’ve recreated our favourite vendor’s papaya milk drink. The most important thing to remember when making papaya juice or papaya milk drink is that the papaya must be overly ripe, to the point where it is almost starting to going bad, as shown in the photo below. 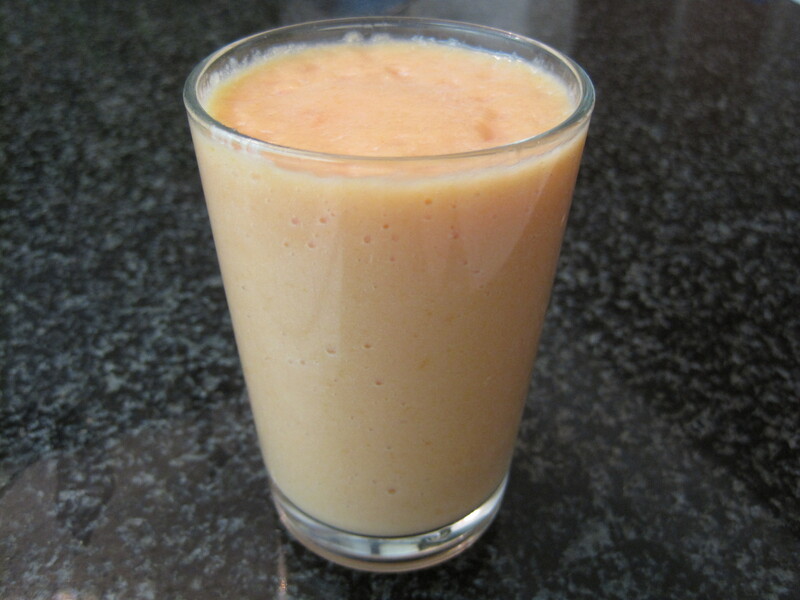 The ripeness of the papaya not only affects the flavour of the drink, but also the texture of it. 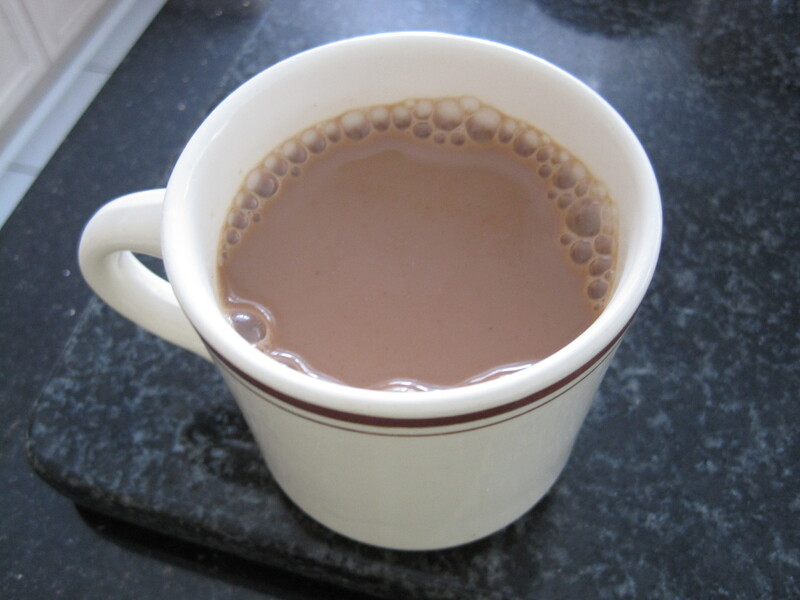 I am in love with Hong Kong style milk tea (see recipe here), and on a trip to Malaysia, I discovered that I love Malaysian pulled tea, teh tarik, just as much. 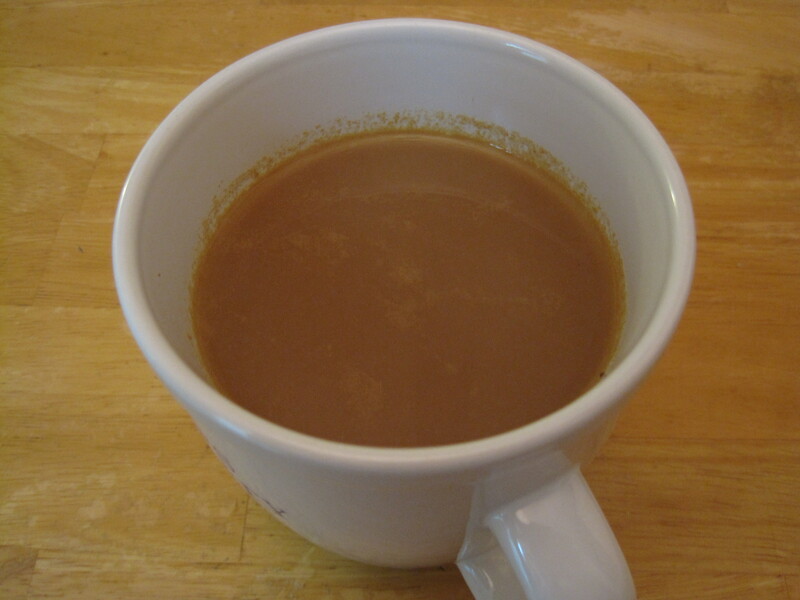 The delicious teh tarik, which means “pull” tea, is made using sweetened creamer. Some people add evaporated milk as well. What sets teh tarik apart from other teas is the process of pouring the prepared tea back and forth between two containers until the tea tastes and feels smooth, silky, and light in weight. Apparently, you’re also supposed to develop a good froth. The further the distance between your two containers while you’re pouring the tea back and forth, the better your tea will be. Be careful not to get splattered by the hot tea, and wear clothes that you don’t care about, because the tea stains are hard to wash out. 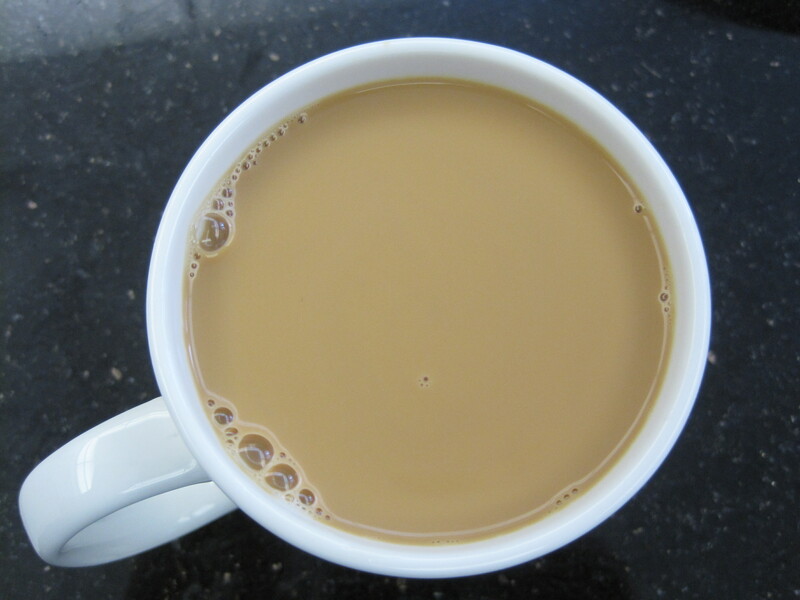 Outside of Malaysia, it can be difficult to find the best tea leaves for making teh tarik. But luckily, I have been surprised by how good some of the instant teh tarik powders are. The brand Boh is very popular in Malaysia and is quite good. My favourite is Aroma Ipoh’s instant ginger milk tea. I found it in a Chinese grocery store in Toronto, ON. 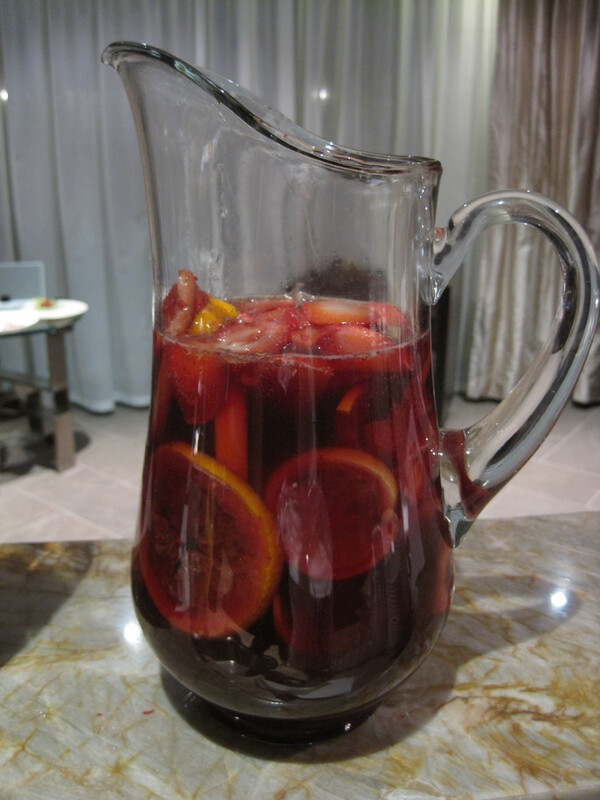 Sangria is a Spanish drink that consists of wine and fruit. I never knew that red sangria (made with red wine) could taste so smooth until my friends Yili and Kent made me their sangria with a secret ingredient. It may not be authentic, but I can drink this stuff like it’s juice. The recipe below provides guidelines for making a classic sangria, as well. Sangria is thought of as more of a summer drink, but I make it all year round. It’s a fun drink to serve at a Halloween or vampire themed party. I made two large pitchers for John’s housewarming party, and they were finished early in the night (I only had one small glass). 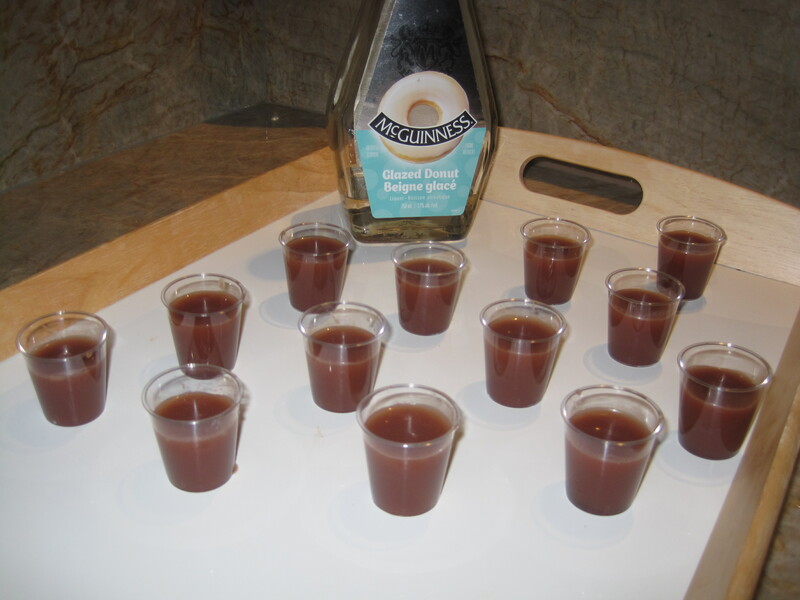 When I first saw McGuinness Glazed Donut liquor, I knew that I had to get it, because, as I’m sure you’ve heard, John has a thing for donuts (see the Donut Tour of Toronto here, and the Donut Pillow/Costume DIY here). I created a few donut-inspired signature drinks for John’s housewarming party. I served them as shots, but some of them would make delicious cocktails as well. They were very well received. 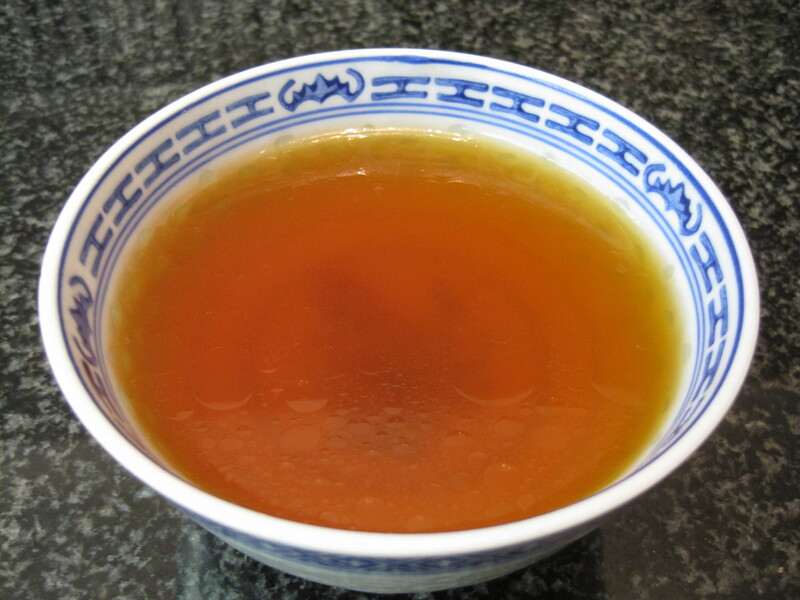 This Chinese soup is often served to women who have just given birth as it is supposed to be nourishing and warming. I particularly like drinking this healthy soup in the winter. It’s also a great way to enjoy/use up homemade glutinous rice wine. This soup could be made using only 2 ingredients – chicken and glutinous rice wine, but my mom likes to add a few more ingredients to enhance the health benefits and flavour. I love apple cider and spiced hot apple cider. I’ve tried many different brands and the best apple cider I’ve ever had was homemade. Ed loved it too, and he’s usually indifferent when it comes to apple cider. This is an easy recipe for apple cider or spiced apple cider that can be served hot or cold. If desired, you could make this an alcoholic drink.